Photographed for Rick Caruso, the developer, urban design leader, The Grove is a newer theater marquee and open spaced surrounding shopping / dining campus which has become one of LA's most popular contemporary landmarks. 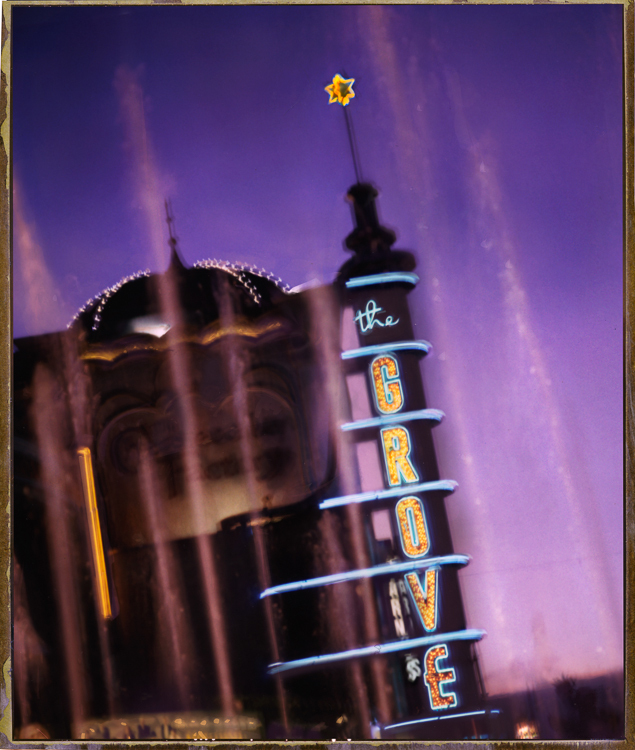 The Grove is destination for visitors and locals built on the Caruso inspiration that unlike other cities, LA has no downtown area. People have a strong desire for that social mixing, multi purpose destination experience; a place to go. LA returns to a more pre WWII model, people are staying in their local neighborhoods for dining, shopping and entertainment. Fueling this trend, increased traffic makes driving anywhere almost impossible.